The Toyota RAV4 is among the favorite off-road vehicles of passionate and enthusiastic drivers who love to enjoy adventurous trips with added comfort. Are you fan of Toyota vehicles and waiting for some surprises? 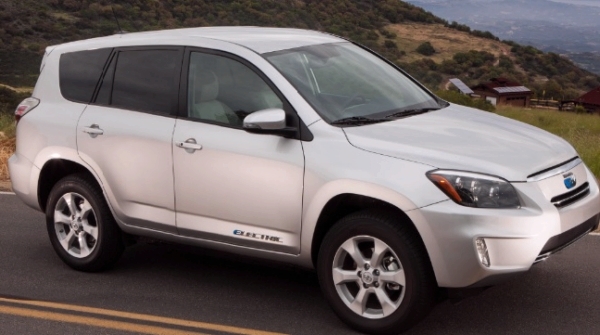 Get Ready to drive an exciting new and improved RAV4 EV that will be available at the end of summers. 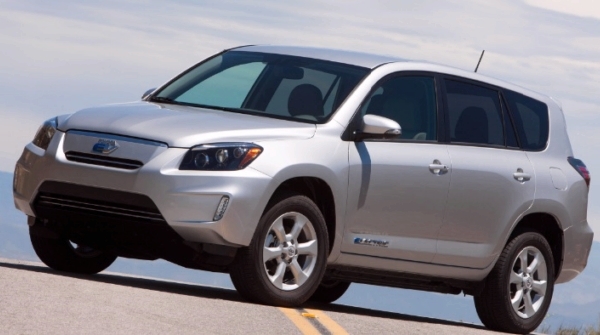 The Creative team of engineers equipped RAV4 EV with class leading features of SUV and tried their best to make its interior outclass with full luxury features. Moreover other performance elements include improved aerodynamic styling and performance driven electric Powertrain. You will have smoother driving experience because Toyota has equipped it with high quality liquid cool battery pack with thermal management system. You are free to choose between following driving modes i.e. Normal: In normal mode, you can attain speed from 0-60mph in just 8.6 seconds. Sport: In Sport mode you can move from 0 to 60mph in just 7 seconds. Standard: In this mode, the high capacity battery charges equal to 35kWh and you can travel up to 92 miles. Extended: In this mode, you can utilize the full capacity of battery i.e. 41.8kWh and achieve and EPA ratings of 113 miles. The Exterior of this lavish vehicle is enhanced by Low Beam LED Headlights that produce wonderful results with a high beam halogen projector. You can also readjust the headlights according to the level/weight requirements. You will surely fall in love with this Toyota vehicle after enjoying a first ride, its interior offers you added comfort and this comfort is provided with adjustable and comfortable seats which can be adjusted according to body posture especially Driver seat can be adjusted in 6-ways. Cargo space is improved by rear seats that can be easily adjusted with reclining position. Its total cargo capacity is almost 74 cubic feet. 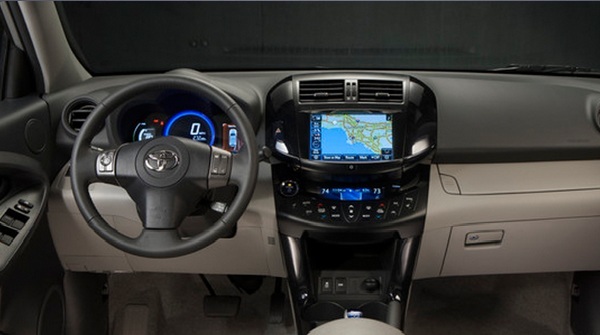 Intellitouch Capacitive Touch Screen is the main interior feature of Toyota RAV4 EV. Moreover you can also avail the opportunity of Toyota Safety Connect on trial subscription basis for 3 years.